One of our clients recently tossed us a challenge and asked us to help them develop a ‘private sale’ feature for their Magento 2 webshop. 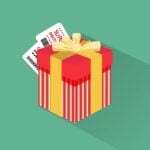 In this private sale, only logged-in customers belonging to a specific customer-group were invited and only they could purchase exclusive and discounted products. The client also wanted to use this private sale event to generate more interest in their exclusive products from guest visitors and other customers, so they wanted to display those exclusive products to all visitors to tempt them. After all, who would not want to be part of an exclusive club and get access to special products and prices? Show the products to all visitors and customers (guests as well as logged-in). 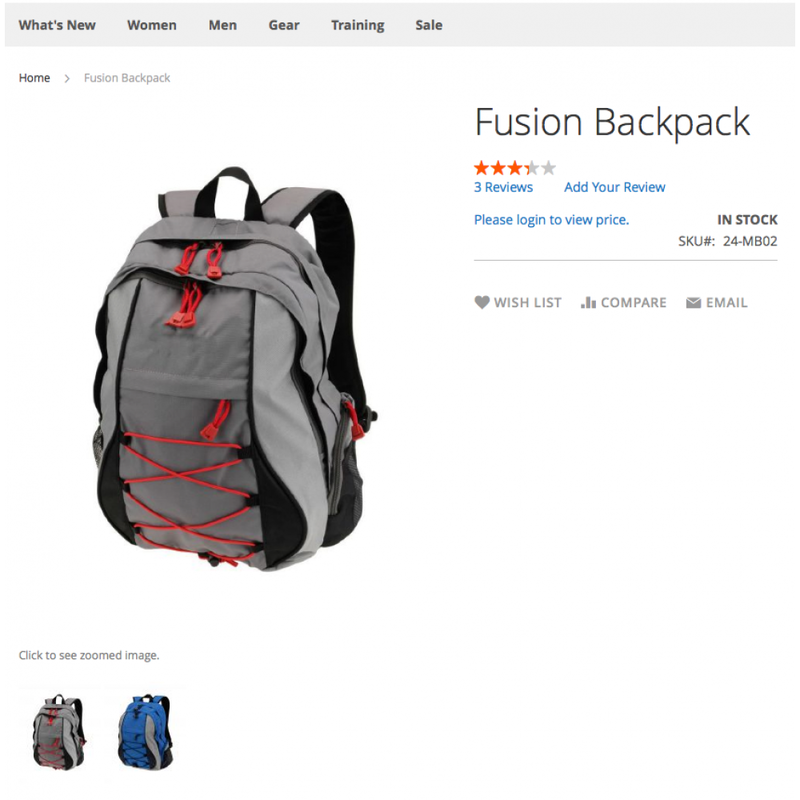 Hide product prices and add-to-cart button so that guest customers cannot buy those exclusive products. Allow only logged-in customers from a specific customer group to see prices and purchase those products. We started looking around for a solution, and it seemed like a lot of custom development work. 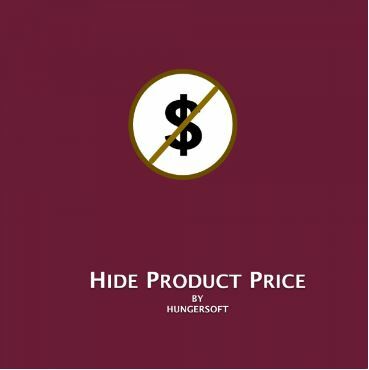 During our desperate search for help, we came across this smart and elegant extension that solved all our problems in one go: Hide Product Price extension for Magento 2 by Hungersoft. This extension by Hungersoft seemed to be the perfect solution. It lets you hide or display product prices based on multiple configurable conditions that are easily manageable from the Magento backend. It allows you to decide whether to show the product prices publicly or only to logged-in customers or customers belonging to certain customer-groups. You can also choose to hide the price of all the products of specific product categories. Not only that, but the extension also has some more surprising features. It not only lets you hide the product price from particular users, but it also enables you to hide the add-to-cart button when the product price is hidden, preventing customers from adding those products to their cart. That’s not all; the extension can be configured even to hide the ‘wishlist’ and ‘compare’ buttons. Simply said, there is no way for un-intended customers to gatecrash a private sale. Hungersoft then went ahead and made this extension even more impressive. Their Hide Product Prices extension also lets you manage the messages displayed on the frontend. So you’re not only hiding the prices, the add-to-cart, wishlist and compare buttons but you can also invite the guest visitors to register on your website by showing some teaser text. Awesome right?! All of this is easily configurable from the Magento backend. The messages can be in plain text, or you can use HTML format, whatever works best for you. That opens up a wide array of possibilities like you can add a link towards your registration and login page, or you could also create a link towards custom CMS pages or form pages such as “Call for price,” “Contact us for more info” etc. Furthermore, if you have multiple stores and want to ignore the global rules, then that is easy to do too with this extension. 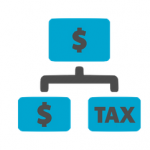 It provides you with the option to choose which product prices to display by letting you override the configuration at the product level. If you like to be in full control of the displayed product prices and the target audience of those prices, while being able to manage all of it from the admin efficiently, then this is the perfect extension for you. It also encourages customers to register or log in and helps you to organize private sales with ease. The ability to easily add configurable messages lets you personalize and control how you communicate with your guest visitors. So, if you don’t want to be rude to your guest customers while hiding product prices, and you need to reward loyalty or tailor your communication towards certain customer groups, then that is super-easy to do with this Hide Produce Price [M2] extension by Hungersoft. You can hide product prices from guest visitors. You can conceal product prices from customers who do not belong to allowed customer groups. You can disable displaying product prices for chosen category pages. You can also hide product prices on specific products only by disabling the hide feature for those products. 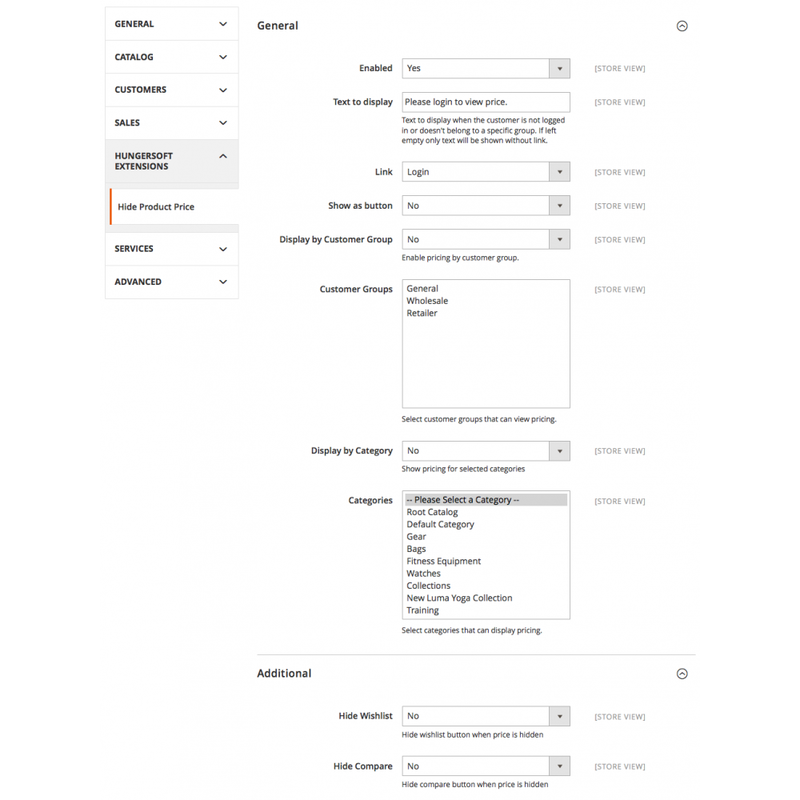 You can do this in batches by using Magento mass-action feature. You can choose to hide the Wishlist button when products prices are not displayed. Feel free to hide the Compare button as well when the product price is hidden. The best part is that you can choose to display custom notification messages as plain text or button link or text link on the frontend. And of course, you can enable or disable the extension per store-view. When combined with Hungersoft’s Customer Approval extension, it allows you to display product prices to pre-approved customers only. Best and free customer support up to a year, they are so friendly that they even help you in customizing their extensions. So, look no further. Hungersoft’s Hide Product Price extension for Magento 2 is ideal for creating that exclusive private sale that you’ve always wanted.